I’ve had donuts (doughnuts? I like the simplified version.) on my mind a lot this past week, and I’ve been pinning recipes like crazy! In the middle of my obsession I realized that many of the treats I had added to my have-to-make-this-someday list were gluten free and paleo friendly. 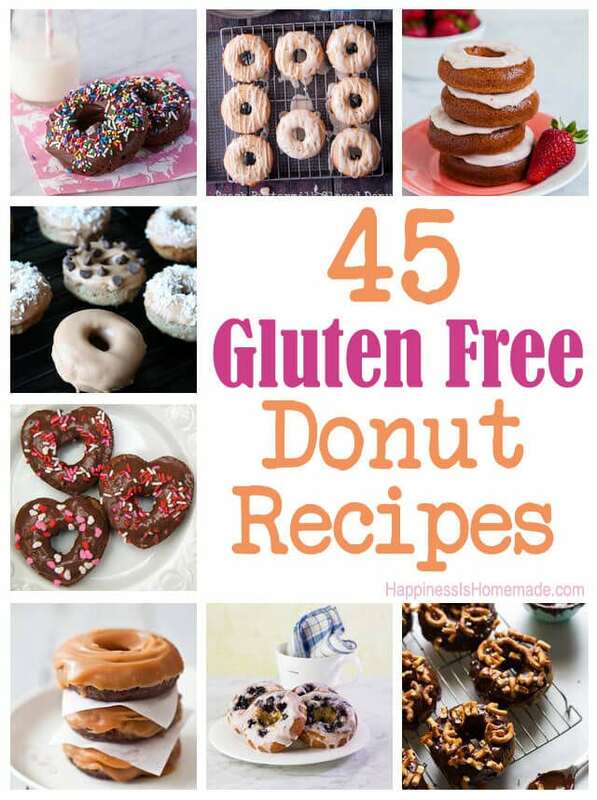 Since I was already swimming in a sea of donuts, I thought it might be handy to take a minute and compile a list of all the gluten free donut recipes since many of my friends and/or their children have switched to a gluten free diet lately. Even if you aren’t on a modified diet, these sweet breakfast goodies are sure to be a delicious treat for the whole family – enjoy! Yum!!!!!!! Maple pumpkin for fall. Or maple bacon for bacon. Or churros because YUM! Fun stuff. What a great round-up Heidi… although now all I can think about it how badly I want a donut! Pinning!